Gorgeous bathrooms. 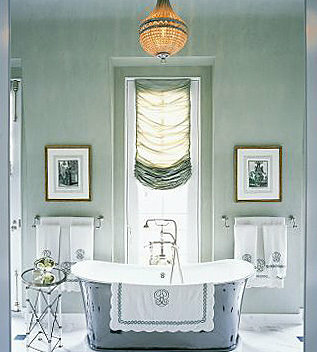 Makes me want to climb into the tub with a glass of wine! I so agree. 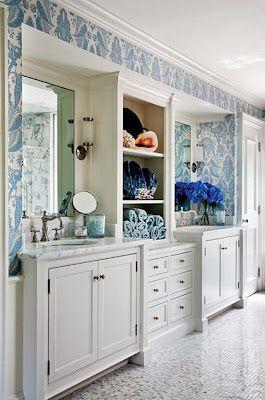 I have two very large square ottmans, slipped covered in white denim in my guest bath. Pushed together they are 8' in length. They sit opposite a door to a second floor balcony. Every guest who stays in that room says their favorite place is lounging in the luxury bath! 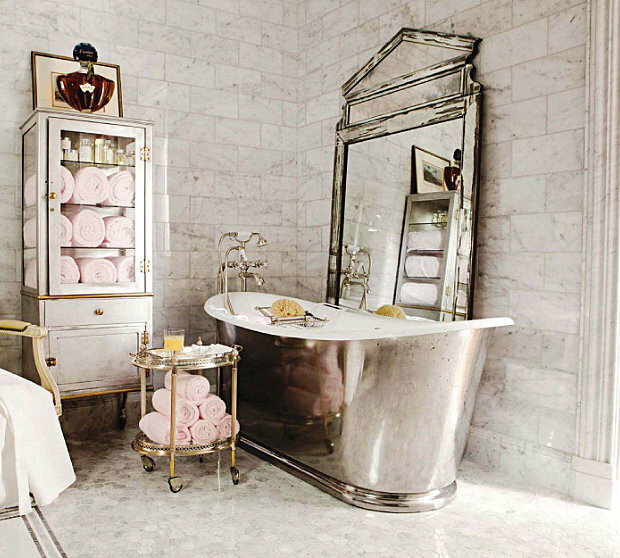 Such luxurious and glamorous spaces...the free standing tubs are gorgeous! !